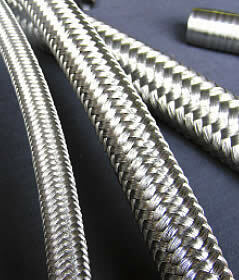 The PTFE hose core is manufactured from PTFE. No pigments or additives are incorporated thus giving the hose liner a translucent appearance free from any contamination. The wire braiding (1 or 2 wire available) is produced from AISI 304/S15 or BS970 1970 quality hard drawn tensile stainless steel wire. Reduced static versions of all hoses are available for applications where electrically resistive fluids are being transferred at high flow rates. Smooth Bore HoseAll of the hoses in the following range are fully approved to the SAE specification and are available from Pacific Hoseflex today. We feel that this will become the global size range for PTFE hoses and recommend that your smooth bore hose demands are selected from this range. If the coupling size restricts your choice we have three further ranges of smooth bore hoses for you to select the exact size that best suits your requirement. The standard wall products are not recommended for steam-cold water cycling. 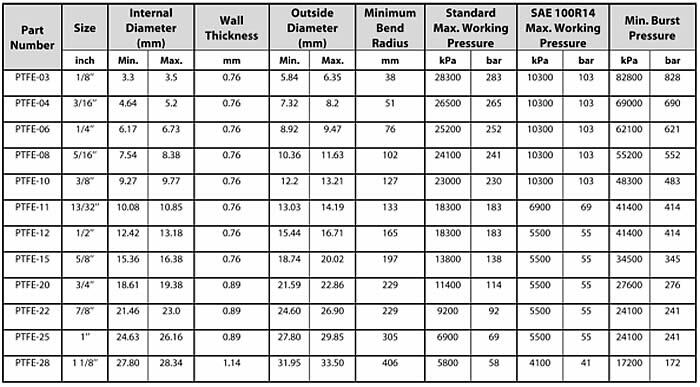 We recommend the Heavy Wall range for the most demanding applications including intense thermal cycling. 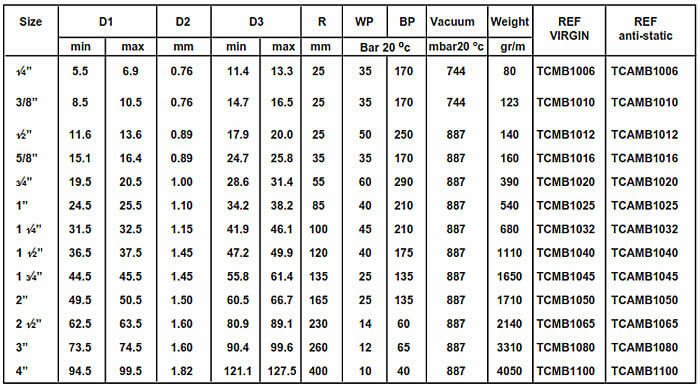 Please note that Hoseflex PTFE HOSE meets and exceeds the stated working and burst pressure values of the SAE specification. T1700 is virtually resistant to all chemicals except molten alkali metals or halogens at elevated temperatures, which can range from -70º C to +260ºC. and flexing and is non-stick and easy to clean. FDAhas approved resin that guarantees food, cosmetic and pharmaceutical applications. It is non-flammable, non-aging and has very good U.V. resistance. The hose is chemically inert and has good dielectric properties and low coefficient of friction, which ensures low-pressure drop. Easyflex was developed to simplify the assembly of convoluted PTFE hose using standard hydraulic fitting. The tube is manufactured in a seamless, extruded convoluted PTFE. This process allows the manufacture of maximum lengths of 60 meters and gives control over Product quality. When you have an application restricted by space, Brierley Hose & Handling has the ideal solution. A helically convoluted PTFE (polytetrafluorethylene) inner tube, medium wall, with an outer cover of AISI 304 high tensile stainless steel braid. of friction ensures low pressure drop. It is non-flammable and FDA. approved for food, cosmeticand pharmaceutical applications. assemblies when pressure or vacuum are applied.